The annual curator’s lecture will this year be presented by Dr. William Southworth, curator of Southeast Asian art of the Rijksmuseum. The lecture will be in English. 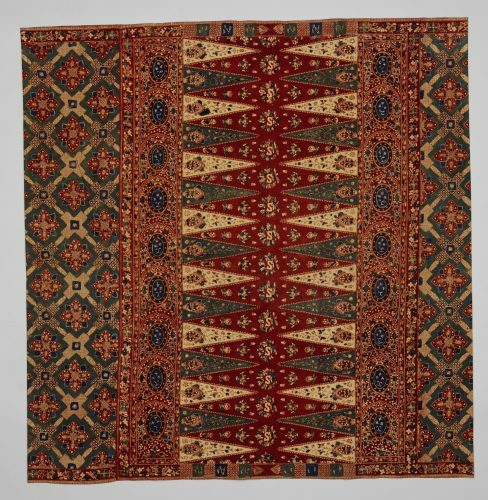 Following Dr. Southworth’s lecture, Dr. Jan Dees will hold a presentation about three Indonesian textiles from the collection Dees & Van der Star. Dr. William Southworth will present an illustrated lecture on the significance of the recent gift to the VVAK of 130 Southeast Asian textiles from the collection of Jan Dees and René van der Star. The speaker will discuss the gradual change in attitude towards textiles from this region, both as art objects and as an important subject of art historical study. He will also introduce some of the main developments in production technique and design, using textiles from the collection itself as the main visual focus of the presentation. The lecture will take place in the Hospitality Room of the Rijksmuseum, on the ground floor of the Philips Wing directly opposite the entrance to the Asia Pavilion. Attendance is strictly limited to a maximum of 50 persons, so please register in advance. The lecture will take place in the Hospitality Room of the Rijksmuseum, on the ground floor of the Philips Wing directly opposite the entrance to the Asia Pavilion.